Hi everybody! Today I want to show you the blue side of H&M's Navy Cosmos (you can view part 1 here). 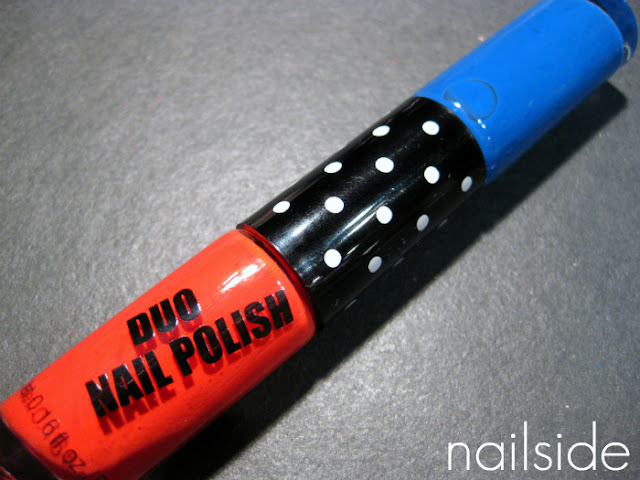 It has a jelly-like formula that applies very easily, after two coats I had perfectly smooth blue nails. :) The color isn't unique, I have many similar colors in my stash - OPI Dating A Royal to name one, but then again I bought this duo just for the cute bottle. Do you have a weakness for nice packaging as well? The color looks very pretty on your nails!! 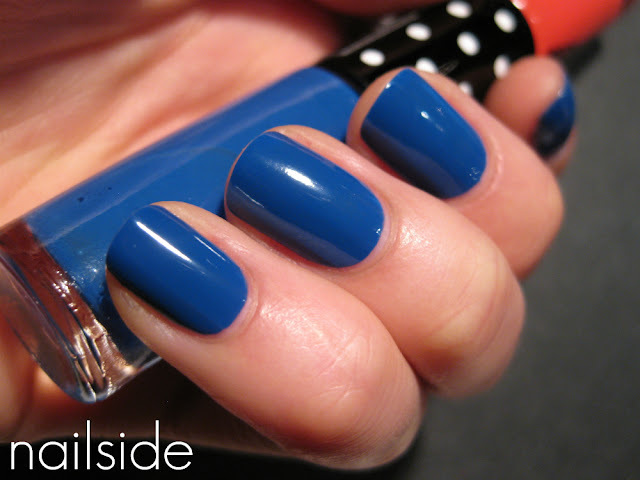 That's a gorgeous colour, loveit! I tend to avoid duos like this because I don't know how to store them--on their side and polish can leak into the threads on both sides, on either end and that end is at risk. I pick them up and look at them, sure--but only have one in my stash. Maybe I should buy them! Oh my, it's always so gorgeous and perfect! Amazing! echt een mooie kleur blauw! I am! I buy a lot of things based on the packaging. It's a bad habit. Jeetje wat een mooie kleur! I often buy nailpolish just because I like the bottle, so I guess I do have a weakness for nice packaging..